Whether they're chasing job opportunities or dodging an obsessive ex, people have plenty of reasons for packing up and leaving their home country. Whatever they're running from/to, though, one thing remains the same: cost of living is a huge determining factor for where these folks ultimately end up. In light of that fact, Mercer just released its annual Cost of Living report ranking 207 international cities based on the local cost of more than 200 expense categories, from housing and transportation to clothing and food. 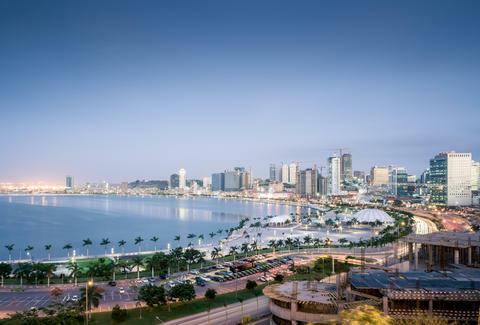 Turns out, the absolute most expensive city for expats is Luanda (the capital of Angola), owing to the steep cost of imported goods and safe living quarters -- a two-bedroom apartment'll run you an insane $6,800 per month. Luanda's actually been top dog on this list for every year since 2010, with the exception of 2012, when it was deposed by Tokyo. Meanwhile, Hong Kong rose to second place this year, and Zurich snagged the no. 3 spot, while the honor of least expensive city went to Bishkek, the capital of Kyrgyzstan. As for whether living in Bishkek is any better than confronting your crazy ex, well, that's for you to decide.